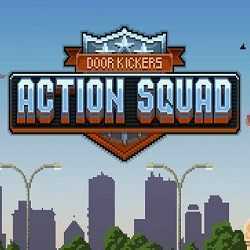 Door Kickers Action Squad is an Action game for PC published by KillHouse Games in 2018. Fight the bad guys in Nowhere City of USA! You are in a troop of SWAT and been sent to face the bad guys in Nowhere City USA. Chosse your weapons and class to get ready to defeat the bad guys.